Creating multiple dishes for a large family meal has never been easier with the 5.0 cu. 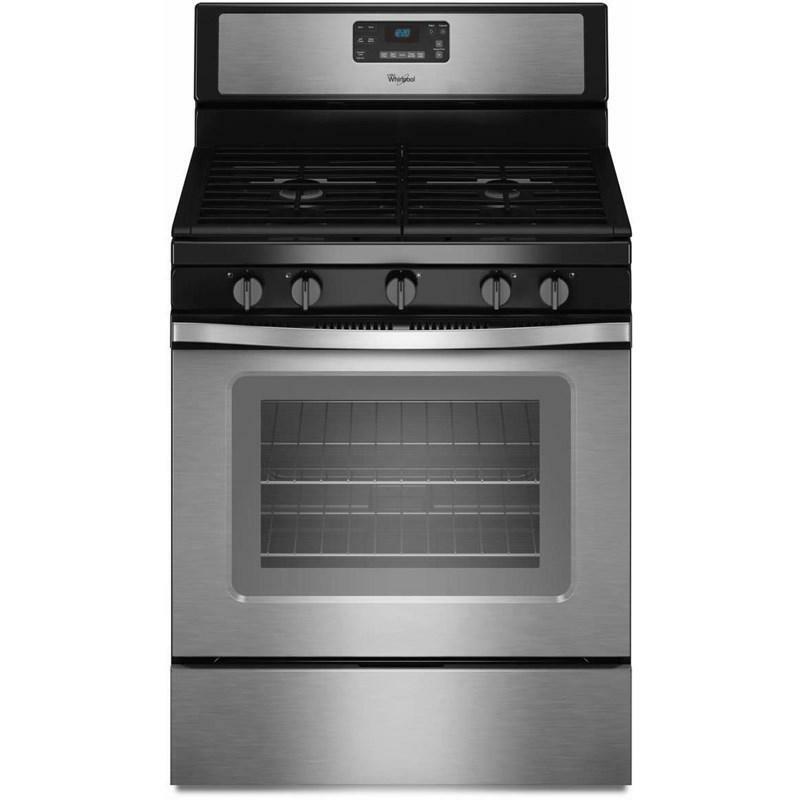 ft. freestanding gas range from Whirlpool brand. 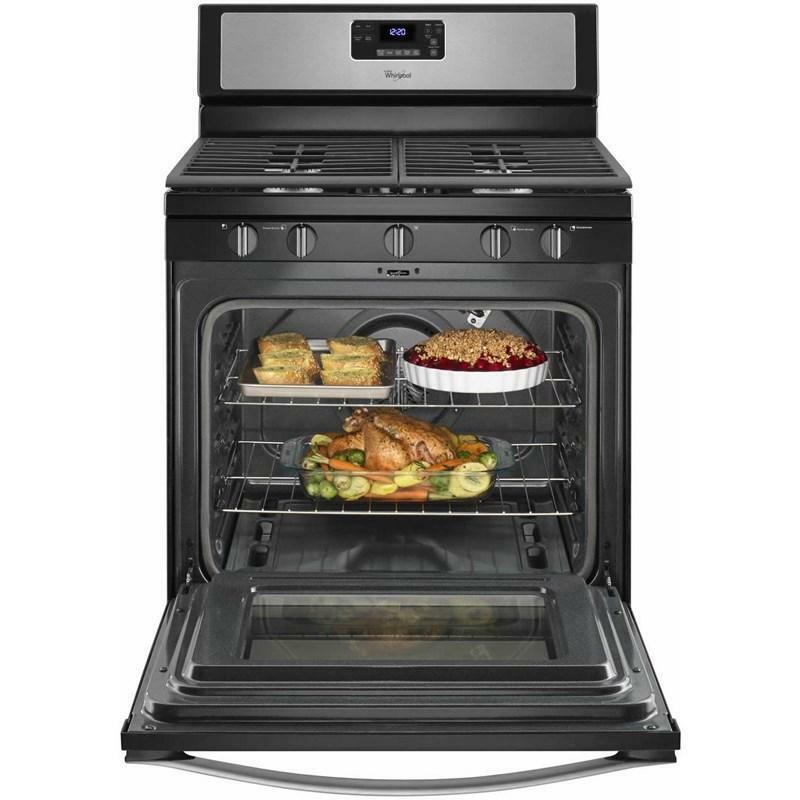 Not only does it offer large capacity, but it also features fan convection cooking so you can bake on any rack with delicious results. This convection oven also features our edge-to-edge cooking grates to make sliding large cookware from one burner to the next easy and a center burner so you have space for five dishes on a single cooktop. And with multiple 15,000-BTU SpeedHeat™ burners on this counter depth gas range, you'll always have the heat you need to quickly boil water.